The true story of a man who sacrifices his whole lifetime earnings for a change. The true inspiring person honoured with the title "Outstanding People of the 20th century" by UNO in acknowledgment of his benevolent social work and has also been adjudged as "Man of the millennium" By an American Organisation who gave him 30 crores which he too donated to the needy, the person we are talking about is Shri Palam Kalyanasundaram. He has given a new definition to word "Charity" by donating his whole salary every month in his entire 35 years of service. He has served the needy because he see the divine in the poor and served selflessly just for a change and to alleviate the sufferings of the people by giving a hope to live more. Shri Palam Kalyanasundaram worked as a librarian for more than 30 years and donated his whole salary to the needy just to make their life better and a hope to live more. To meet his own bread and butter he would do a part time job as a server in a hotel. And when he got retired he donated his entire pension amount of Rs. 10 lacs or 1 million rupees to the poor and needy. 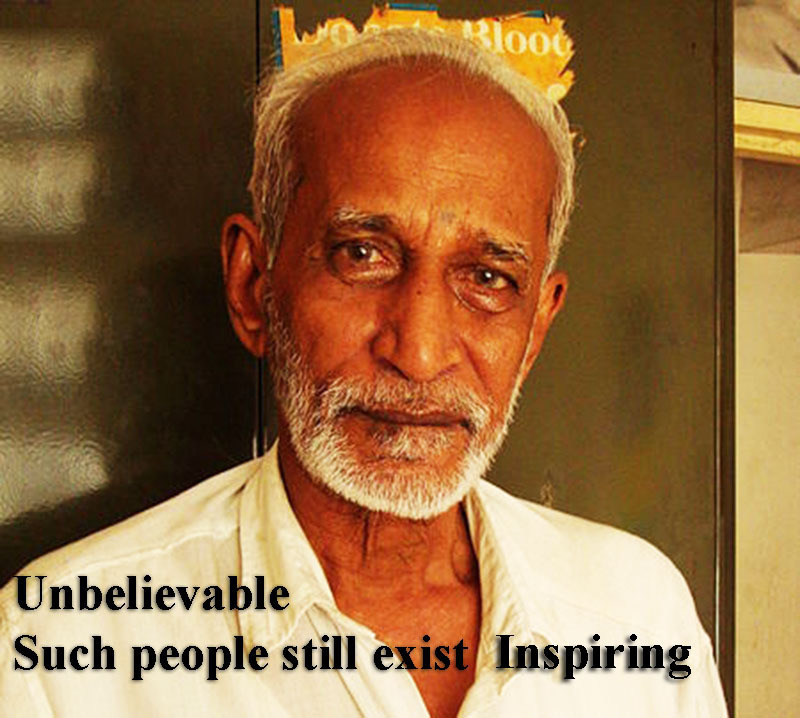 In spite of the fact that, Kalyanasundaram is moderately unknown in his own nation, India, he has been pronounced as one of the “Outstanding people of the twentieth century” by the United Nations organisation (UNO). He was likewise regarded as 'Man of the Millennium' by an American association for which they awarded him Rs 30 crores, which is identical to 5 million USD. This cash too he offered away to the poor and needy, selflessly. 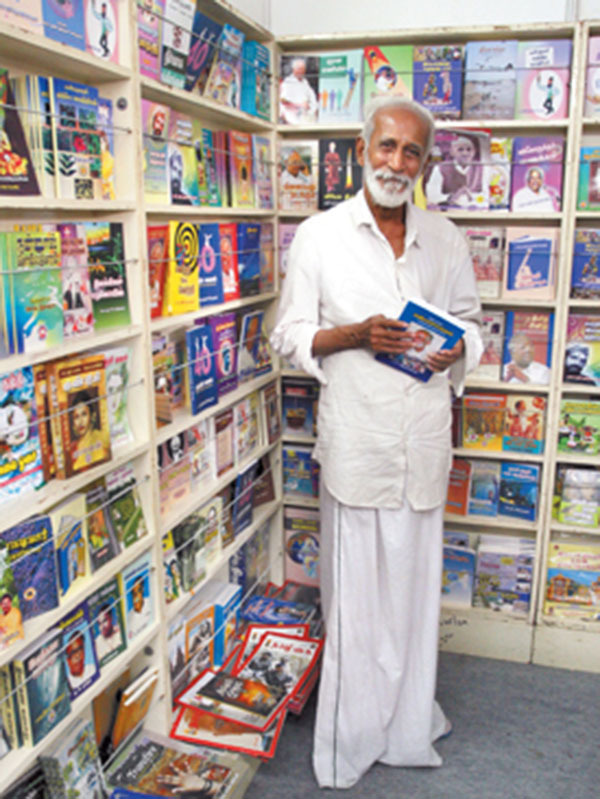 The Union Government has acclaimed him as `The Best Librarian in India’ and he has also been chosen as one of the top ten librarians of the world’. The International Biographical Center, Cambridge, has honoured him as `one of the noblest of the world’. And inspired by his selflessly work Indian Tamil movie superstar Shri Rajinikanth and his wife Latha Rajinikanth adopted him as father. 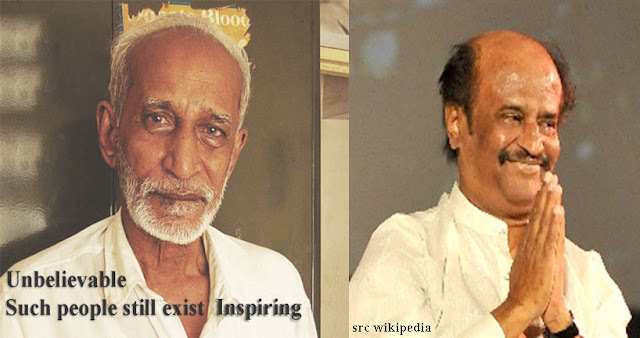 The superstar Rajnikanth requsted him to stay with him in his lavish house but he denied. he wants to live a simple life among the poor people and helping them. Paalam was born in a village in Tirunelveli, Tamil Nadu which is in the south of India. After his school, he pursued a degree in Bachelor of Arts. His Life took a turn during the Indo-China war in 1962. After listening to a speech of Prime Minister, Jawaharlal Nehru, he donated his gold chain to the chief minister of Tamil Nadu. The CM was exceptionally inspired by this signal and congratulated him at a function later in 1963. As a bachelor Paalam worked selflessly around children for 45 years . And after his retirement all the money he got as his benefit was put in the formation of an organisation, to serve the poor as his duty called Paalam. As Paalam means bridge and he set up this bridge for the welfare of poor and the needy. This organisation helps the children in education and medical help is provided to the poor and sick. This organisation also arranges blood donation camps and even also help during natural calamities. Shri Palam Kalyanasundaram gives all credit to his mother for teaching him "the art of sharing and helping others" in his childhood. Give away one tenth of anything you receive. And do at least one good deed every day. And these basic rules he followed in his life as a principles. "The great man are born for change not for fame"